IMF warns: "Euro banks should recapitalize. Facing E$60 Bln hit from Greek bonds, E$80 Bln from Ireland and Portugal." I wonder where these money are going to come from. Guess China would be buying Acropolis. Wells Fargo also downgraded by Moody's. BofA: we disagree with Moody's downgrade. Lets see W. Buffet pay higher taxes on his BofA stock...lol. OF course he is getting 10% long term, so probably will claim capital loss....hypocrite. Every time there is a push down on ES, there is a whole 2-tick "progress" and 5-point "back-off". Going to take a lunch break. Appreciate the sentiment but it's not about that. It was an event trade(earnings,fed,etc...) He/She who hesitates is lost. 1998 was resistance. Didn't make it? Stopped at 1996.50 I think. The 1182 target was missed by a tick. Took about 4 minutes top to bottom. That was the event. Correction stopped below 1189. 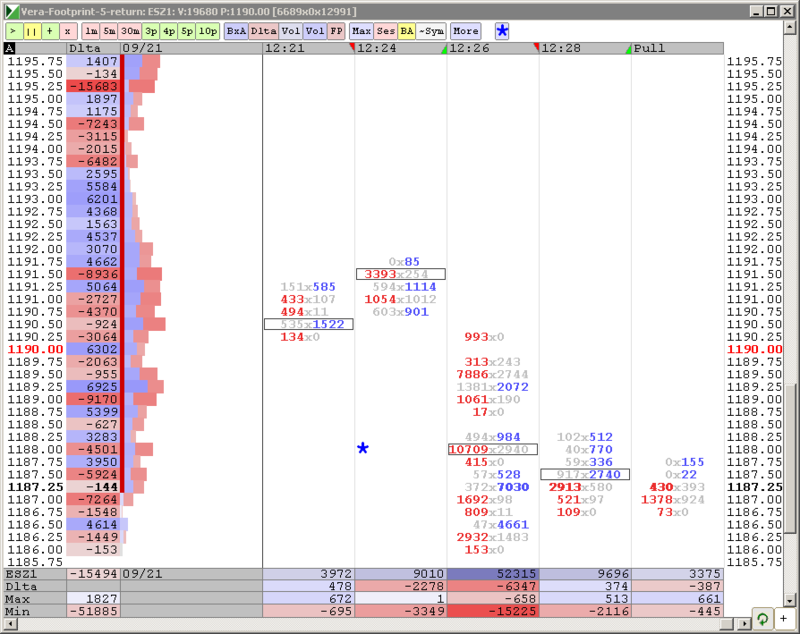 Other levels represented in corrections/ pauses and 1260 exceeded. Extension. This was posted pre fed announcement. The objective is to be right, in the trade, even if 98 was hit. You were right on the MONEY. CONGRATULATIONS.